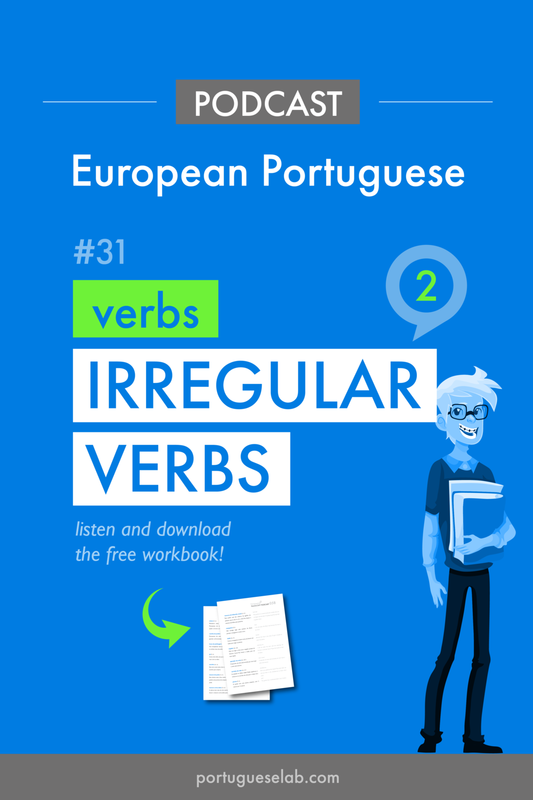 12 irregular verbs in European Portuguese, ending in -ir. how to conjugate these verbs in the present tense. examples of the verbs used in context (sentences). pedir, ouvir, dormir, despir, conseguir: only irregular in the 1st p. sing. in the present tense. pedir: verbs that end in -DIR and change the D in the stem to Ç in the first person. Examples: despedir - to say goodbye, medir - to measure. dormir: verbs that change the O in the stem to U in the first person. Examples: descobrir - to discover, cobrir - to cover, engolir - to swallow, tossir - to cough. vestir: verbs that end in -IR and change the E in the stem to I in the first person. Examples: despir - to undress, preferir - to prefer, sentir - to feel, sugerir - to suggest. conseguir: verbs that end in -EGUIR and change the EGU in the stem to IG in the first person. Examples: perseguir - to chase, prosseguir - to pursue, seguir - to follow. Eu peço ajuda. I ask for help. Eu ouço música em casa dos vizinhos. I hear music in the neighbours house. Eu durmo no sofá quando estou cansada. I sleep on the sofa when I am tired. Eu visto um casaco. I dress a coat / I put on a coat. Eu consigo ler em cirílico. I can read Cyrillic. construir (to build): has same conjugation as destruir (to destroy). Sais na primeira saída. You leave on the first exit. Ele cai muitas vezes, tem dois anos. He falls many times, he is two years old. Nós distribuímos para os Estados Unidos. We distribute to the United States. Ele constrói um castelo de areia. He builds a sand castle. conduzir (to drive): verbs that end in -ZIR have no ending in the third person singular. Examples: deduzir - to deduct, introduzir - to introduce, produzir - to produce, traduzir - to translate. Ele conduz muito depressa. He drives very fast. Porque é que foges sempre do cão? Why do you always run away from the dog? Eu subo as escadas. I climb the stairs.